Dunn is dual-signed with SCFL Premier league leaders Chichester City and he scored on his first team league debut last week at Lancing. Bognor manager Pearce says the game against the Premier League outfit's starlets hands his side the chance to repay supporters for their unwavering support during a topsy-turvy campaign blighted with injuries to key players. 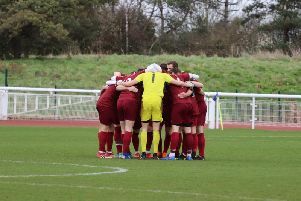 Rocks warmed up for the cup clash with a 3-3 draw at Enfield Town on Saturday, earning a valuable point on the road to keep them in the Bostik Premier division play-off picture. 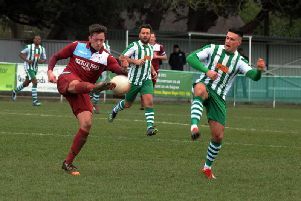 Bognor earned a share of the spoils despite being without the likes of leading marksman Jimmy Muitt, playmaker Doug Tuck and defender Calvin Davies. But Tuck is said to be in with a chance of being fit for the Albion encounter. Meanwhile, defender Corey Heath has left the club after an injury-plagued spell. Pearce said: "We wish Corey all the very best for the future and would like to thank him for all of his efforts during his time with us."